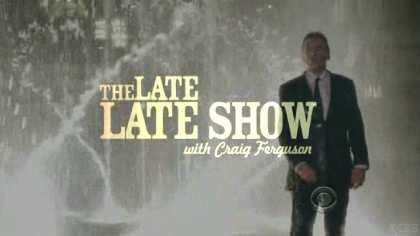 Johnny Knoxville is booked as a guest on The Late Late Show with Craig Ferguson. Unbeknown to Ferguson, the producers are in cahoots with Jeff Tremaine & Knoxville. A mystery stooge is placed in the audience to be brought up at the beginning of the show as every once in a while Ferguson does this. When the stooge is brought up by Craig via insistence of the show's producers, the interview starts normal but shortly soon thereafter, the 'audience member' disagrees with Ferguson over a remark, then starts to act up and then finally does a complete flip-out. As Ferguson and the rest of the audience will be stunned at this spectacle; Knoxville & the rest of gang storm out from around the stage, they grab him, they tie him & bound to a chair. The guys annouce to everyone what is really going on and that they are now in control of everything of the rest of the show. For the rest of that night's episode, Knoxville and the boys conduct a slew of pranks and stunts somewhat similiar to what they all did during the 24 hour takeover of MTV back in February 2008. A truly fantastic publicity stunt to promote the JACKASS 3D movie!